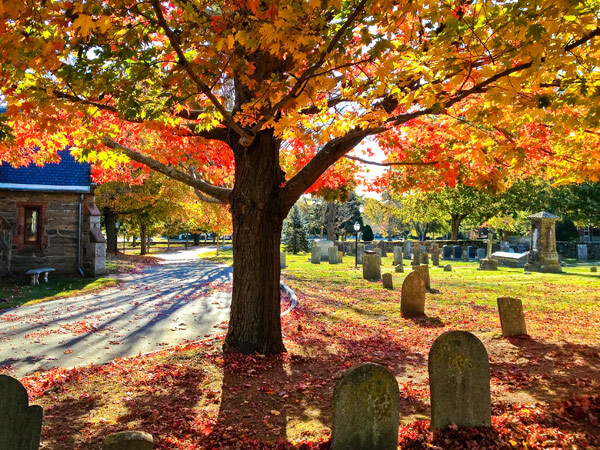 Situated in agricultural surroundings midway between the town centers of Portsmouth and Middletown, this churchyard and cemetery comprises twelve acres of landscaped grounds. 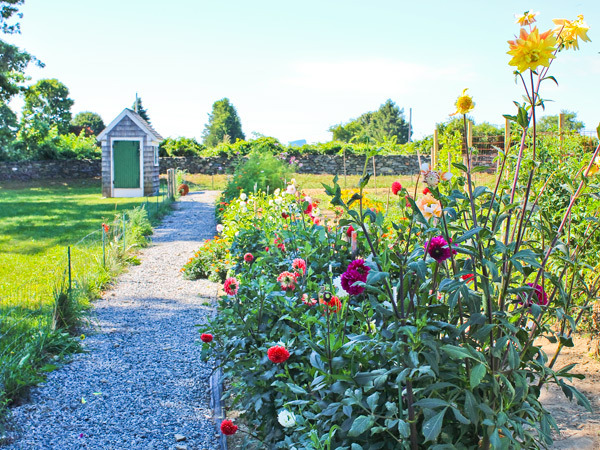 Settled in the mid-eighteenth century, the site lies on the southern border of the 150-acre Oakland Estate, established by 1850 by the Vanderbilt family and including stone entry posts and walls, a polo field, and a ring for exercising show horses. 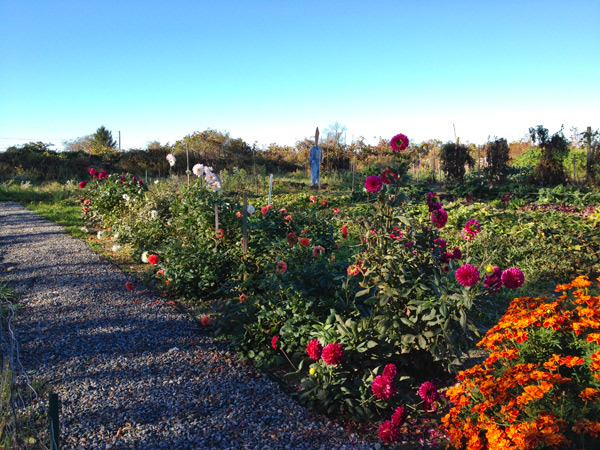 The inaugural service of St. Mary’s was held in 1843 and, four years later, Sarah Gibbs donated 80 acres to the parish. 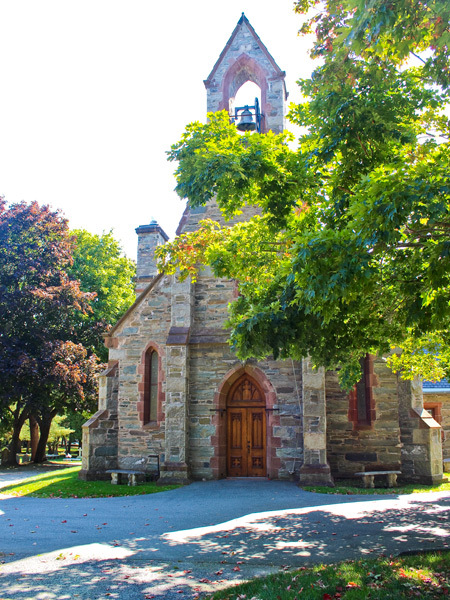 Upon this land, architect Richard Upjohn designed a Late Victorian, Gothic church with a projecting bell tower, constructed of fieldstone in 1849. 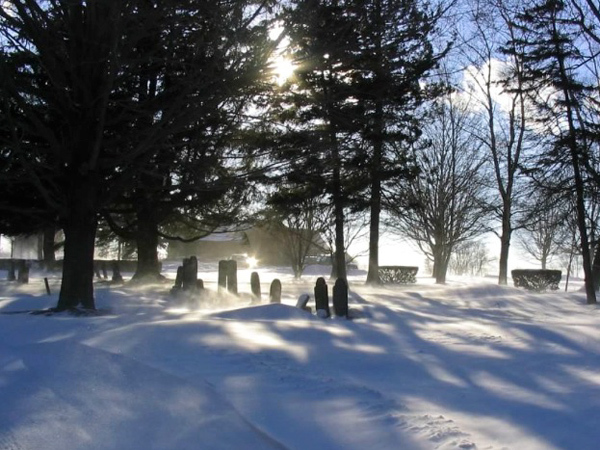 Set a short distance from the road, the church was encircled by a drive and flanked on the north, south, and east by the cemetery. 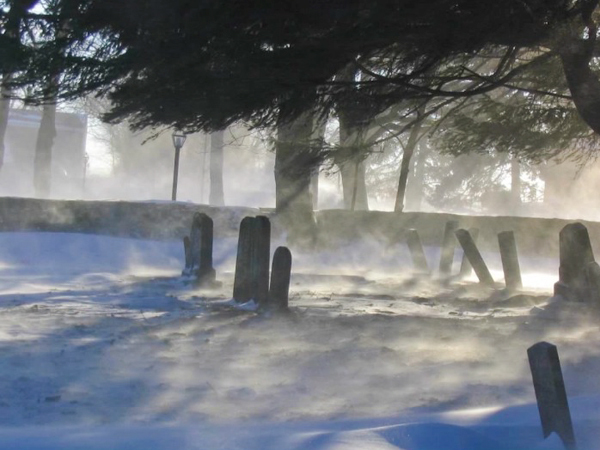 Organized in a symmetrical plan of unenclosed plots of modest headstones, the cemetery is punctuated by specimen trees and bordered by dry-stacked stone walls. 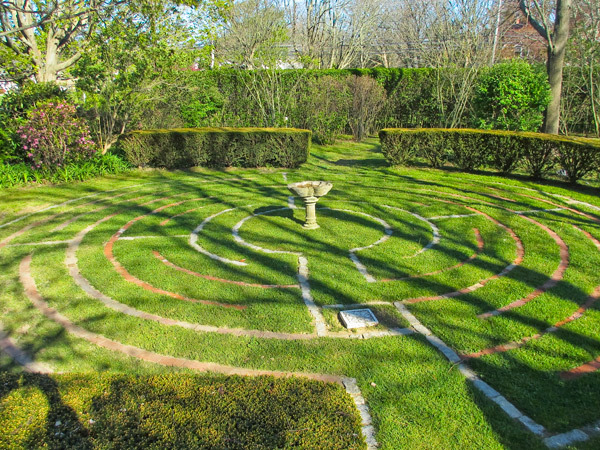 It is accessed by a perimeter road and by an extension from the drive that circumscribes the church. Arborvitae, maple, and beeches were planted to create a Picturesque landscape, with an understory of rhododendron and flowering shrubs. In 1927 a rectory and parish house were built; followed by the construction of other buildings in 1970 and 2012. 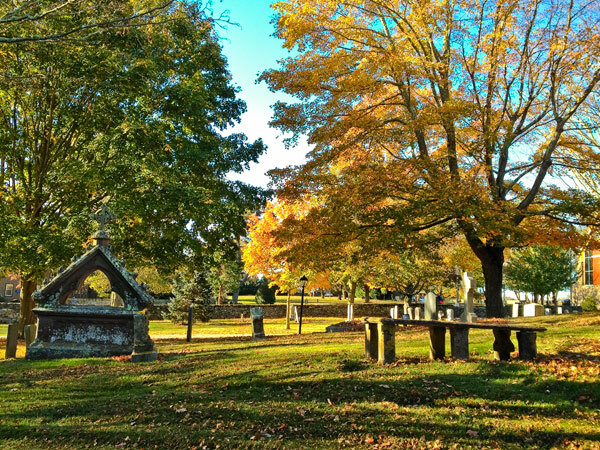 In 2015 the St. Mary’s parish and the Sarah Gibbs Trust entered an agreement with the Aquidneck Land Trust to establish a 72-acre conservation area surrounding the church and cemetery. Encompassing woodlots, agricultural fields, wetlands, and a pond, the easement protects habitat for a variety of species and safeguards the historic setting.